New for 2019. 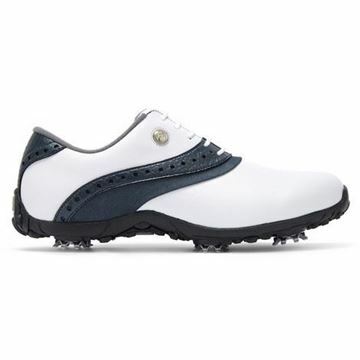 Traditional looking golf shoe that is waterproof, lightweight and extremely comfortable. White with a navy saddle. Spiked with soft synthetic uppers. New for 2019. 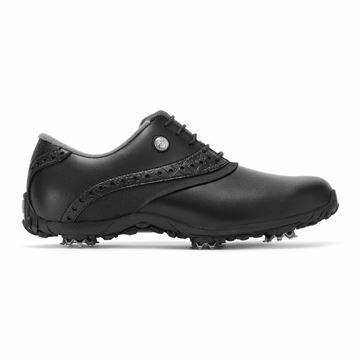 Traditional looking golf shoe that is waterproof, lightweight and extremely comfortable. All black winter shoes. Spiked with soft synthetic uppers. 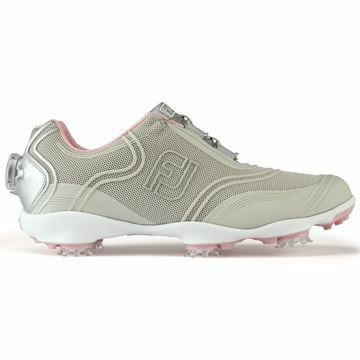 Lovely looking and comfortable waterproof ladies golf shoes. 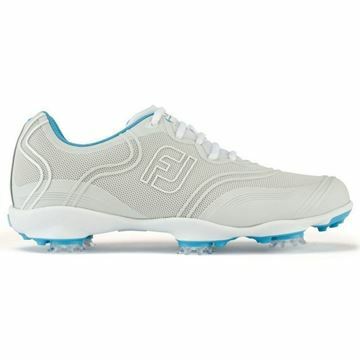 Footjoy Aspire, will keep your feet dry and comfortable during your round of golf. Footjoy Canvas belt in the charcoal, white and pink striped colour scheme. Great value belt at only £19.99, one size fits all. Attractive colour scheme. Footjoy Canvas belt in the midnight, white and melon striped colour scheme. Great value belt at only £19.99, one size fits all. Attractive colour scheme.